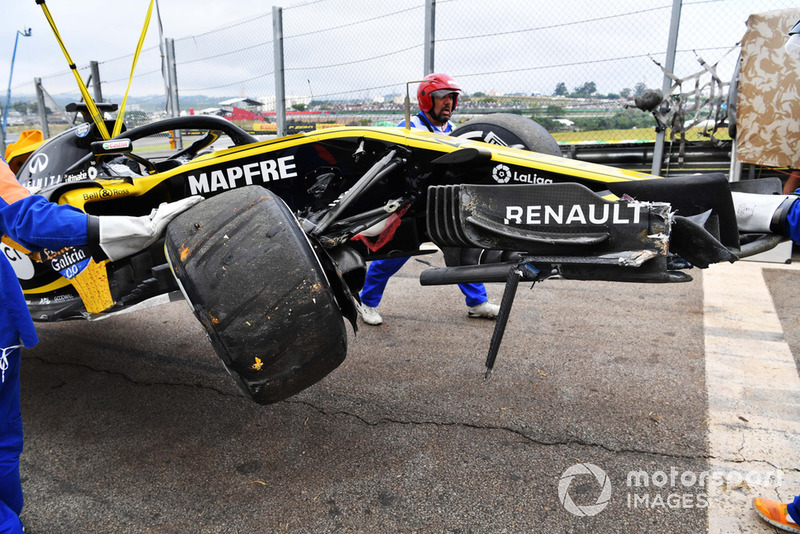 Hulkenberg crashed on exit of Turn 12, Juncao, a few minutes into the second free practice session of the day, clipping the grass and veering into the wall, which demolished the right side of his RS18. “I ran a bit too wide at the exit of the last corner,” Hulkenberg said. “I took a little bit too much kerb there, wanted a bit too much probably. “The car bottomed out, and from there it was done, I was a passenger. Once I bottomed out, that pulled me off the track onto the grass, obviously no grip in the grass. “It was inevitable from there that I would hit the wall. Hulkenberg struggled with the balance on his car throughout the day, but didn’t consider this as a major factor in the accident. “I mean, the balance is challenging around here, especially the last corner is always difficult – you know, when you have done a complete lap, the tyres are pretty hot and the grip is a bit less in the final corner, that makes it always a tough corner. The crash meant the German had logged just six laps in the afternoon session, as he missed out on the usual mid-FP2 qualifying simulation runs as well as the standard high-fuel mileage. 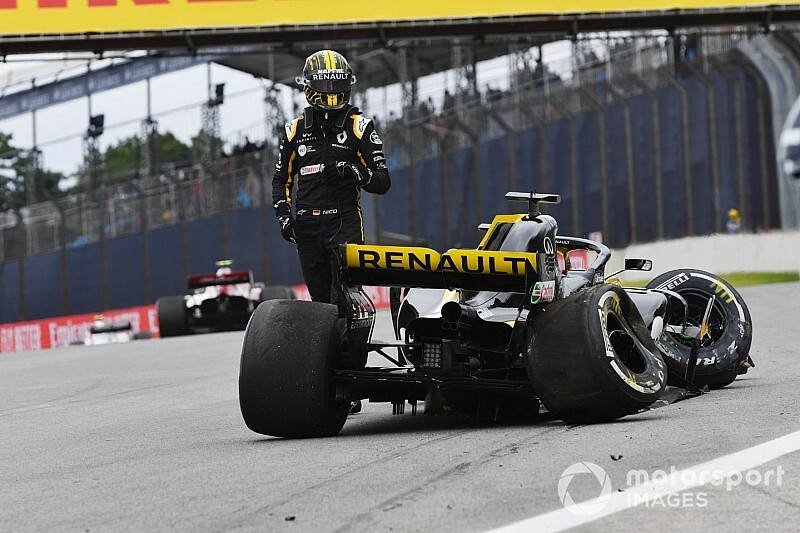 Despite this, Hulkenberg reckoned that it wouldn’t be too big a setback for his aspirations at Interlagos, as he feels very well acquainted with the car by this point in the season. “I mean, it’s not great to miss the long runs, to miss the short-run performance, but I’m quite confident that it won’t hamper my weekend too much,” he insisted. Both Hulkenberg and teammate Carlos Sainz finished outside of the top 10 in first practice, and the Spaniard could do no better than 14th in the afternoon. “It looked a bit difficult today as well. I think the pace is not quite as good, as strong as in Austin or Mexico. “The car doesn’t feel as together as it did the previous weekends. I think you could see that on the timesheets, we didn’t look as competitive.